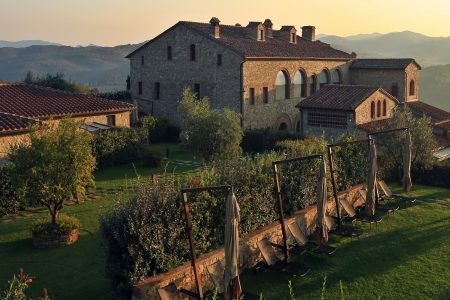 Our Exclusive Chianti breaks are based in the heart of the Tuscan vineyards near Siena and offer an experience of absolute luxury and serenity. Staying at the beautiful 5* Hotel le Fontanelle, a tasting session of the estate’s wines will be arranged for you upon arrival. On day two, you will be met at the hotel by a luxury chauffeured vehicle (Mercedes S Class), which will accompany you throughout the day on a private basis. 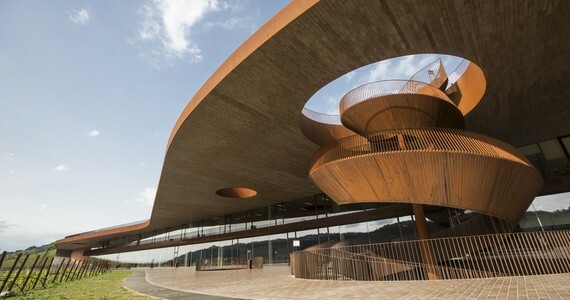 Focusing on Chianti, you will firstly be welcomed as the guests of the prestigious Antinori winery for a VIP experience. Here, you will be taken on a full behind-the-scenes tour of the estate and cellars, seeing first-hand the individual stages of the production process and your visit will conclude with tastings of seven of Antinori’s most celebrated wines, including Cervaro della Sala, Pian delle Vigne, Badia a Passignano and the famous Tignanello. The tasting will take place in the most exclusive part of the cellars, the intimate Bottaia room. 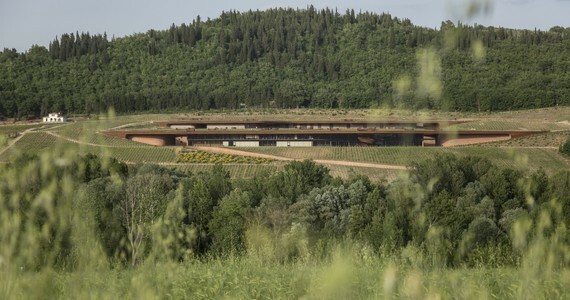 Lunch will then be served in Antinori’s restaurant, which is located on the scenic rooftop terrace. The traditional Italian cuisine will be accompanied by two further Antinori wines. After lunch, you will be taken to a picturesque village, where you will be welcomed at an award-winning producer of Chianti Classico wines. As well as having a tour of the vineyards and winery, an extensive tasting session with local cheeses and meats will ensue. For those booking the four day break, your chauffeur will return and accompany you on a second day of tours on day three, to discover the revered wines of Brunello di Montalcino. Brunello is considered to be one of the best wines in the world and its ancestral roots come from the passion of the inhabitants of Montalcino, who handed down their ancient wine-making traditions through the generations. You will be welcomed as the guests of Castello Banfi, for a comprehensive VIP tour. On the tour, you will be taken on a guided visit of the winery and vineyards, before enjoying a tutored wine tasting session of four of the estate’s wines. In addition, you will visit the Balsameria, where they produce excellent quality refined balsamic vinegar; only three litres of their ‘Salsa Etrusca’ are bottled yearly, and can only be purchased from the Castello, or in selected gourmet shops around Italy. Following the tour, delight in a delicious five course tasting lunch in the estate’s Taverna, which will be paired with five Banfi wines. 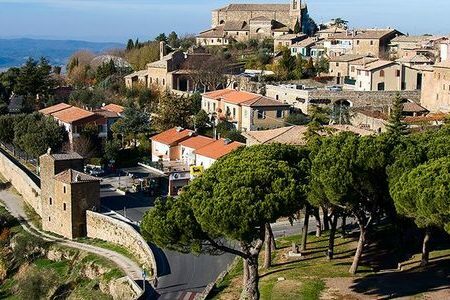 In the afternoon, you will have the opportunity to visit the town of Montalcino, located on a charming hill, and the splendid St Antimo abbey is a must-see attraction. 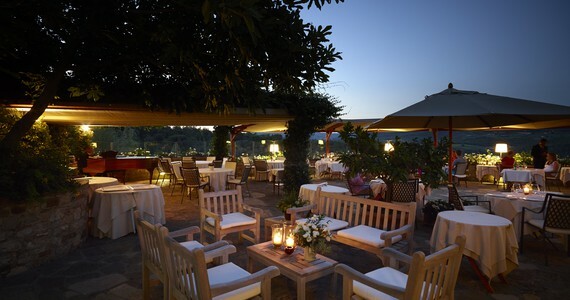 Upon arrival at the 5* Hotel le Fontanelle, located in the Tuscan vineyards near Siena, check into your chosen room. 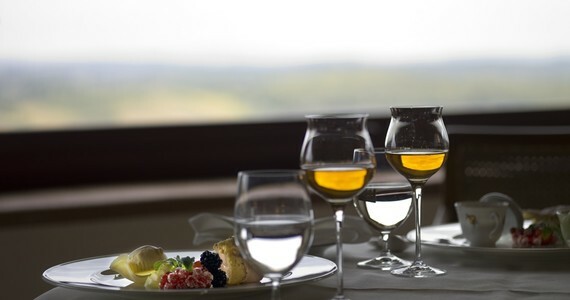 After settling in, enjoy a tutored tasting session of the estate’s wines. The afternoon and evening will be free to relax and enjoy your beautiful surroundings. A VIP tour and tastings with lunch at the prestigious Antinori winery. 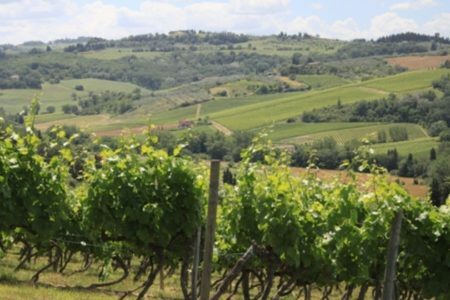 A vineyard and winery tour with tastings and local cheeses and meats at a second Chianti Classico estate. A VIP tour and tasting lunch at the world-famous Castello Banfi. Free time to explore the beautiful town of Montalcino. Breakfast and check out at the hotel by noon. The food at the hotel was amazing, Michelin star quality. City tax at the hotel is 4 Euros per person per night and is payable locally. Bring friends and spend less! A discount of £200 per person applies to groups of four people or more who are travelling together on the three day break. This discount increases to £400 per person on the four day break. If you would like to make your Siena wine tour even more special, there are a number of additional activities that we can arrange for you. To complement the experience, these could be arranged to fit in/around your current itinerary or we can arrange additional nights and room upgrades at your hotel, as well as your travel arrangements, a stop-over en route and even a visit to another part of Italy! See below for some of the most popular upgrades. Stay longer! Just let us know which room grade you would like and we will provide you with the applicable supplement for an extra night’s bed and breakfast. Spend a night in Siena. Siena is very close by and many of our guests like to spend a night or two experiencing the delights of this beautiful town. 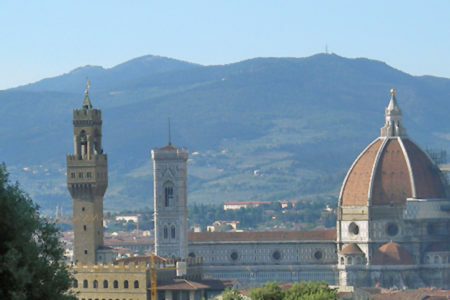 Visit Florence. 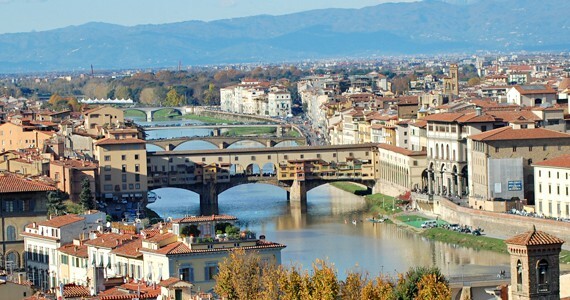 No trip to Tuscany would be complete without taking the time to visit the stunning city of Florence. 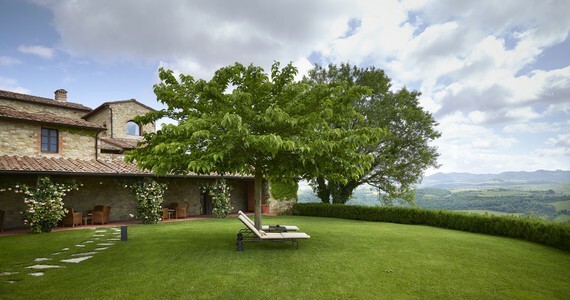 We particularly recommend staying at the luxurious Hotel Brunelleschi. Completely renovated in 2012, the 4* Hotel Brunelleschi is a heavenly hybrid of contemporary and traditional Florentine culture. Given the wide range of travel options, the package price does not include travel. To secure your booking, a deposit of 20% of the booking value is required. Your remaining balance will then be due 60 days before you travel. Please call us on +44(0)1920 46 86 66 or e-mail info@grapeescapes.net to request a booking form. Planning an incentive trip, team-building event or hospitality break? Our corporate trips are always tailor-made. 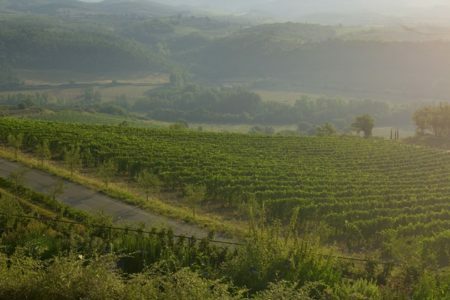 Available mid-week and weekends, except from 30th June to 2nd July and from 14th to 16th August, spend three days in Siena and enjoy an introduction to the wines of the region with transported tours in the famous Tuscan vineyards. 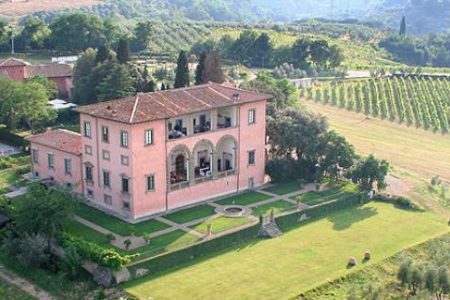 This luxury Chianti wine tour offers the unique opportunity to stay in a 5* Villa close to Florence one or two days to the Chianti and Brunello di Montalcino vineyards. The package is available mid-week and weekends from April to the end of October. These three and four day Essential Breaks allows guests to experience the delights of Florence and immerse themselves in the wines of Chianti on a full day tour. It is available mid-week and weekends April to October.